You are running a business and dealing with hundreds of customers on a daily basis. You are either texting them or calling to resolve their queries and to contact them for sales. Aren't you feeling too much workload on you and your teammates? It is extremely confusing for you to manage all the information manually. In such a case, you should have a website to reduce the workload. You can contact any full stack development company for developing a business website. 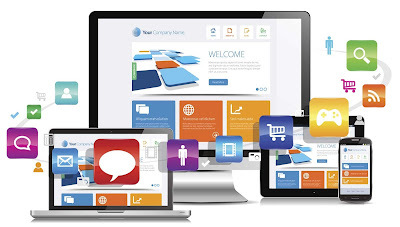 Using a website, you will be able to showcase your products or services to the customers worldwide. You can categorize the products to arrange the products sequentially. You can use digital marketing methods later to promote your products or services. This is the first and foremost thing when you run a business; to meet the expectations of a customer. When a customer goes out for an offline shopping he does not the variety of product and also he has to give the time to travel to the marketplaces. If there is a website then it becomes easier for the customer to find their desired products or services. It is easier to manage stock online than manually. You can log in into your website to see which product is out stock or o update listings from time to time. If you have any problem with managing stock you can ask solutions to the full stack development services anytime. You can provide details of the products or services that you are providing to the customers. You have to add each and every detail of a product or service on the website. This will help the customers to browse product easily.